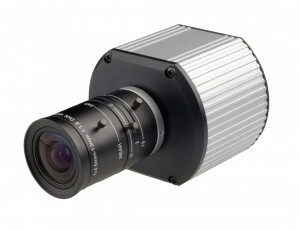 « Infiniti Integrated PTZ camera.Dedicated Micros Thermal CCTV solution. IP camera systems have long been the preferred upgrade path for the CCTV industry as whole. This is however a little behind schedule as far as we see it and mainly due to the reluctance of end users to waste the investment they have already ploughed into their analogue CCTV solutions. This is where the use of Hybrid CCTV solutions can gently push the industry into the area where they really want to go. 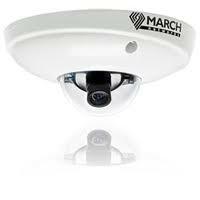 IP camera systems have been around since around 1996. Bandwidth and network capability have always been the factor that has slowed the move to IPCCTV however recent advancements in broadband speeds and network performance means that all possibilities are now very much in the frame. Security equipment manufacturers are however pushing harder for their kit to be totally all IP based .This is also backed by IMS research figures that predict a spending of 2.6 billion US dollars on ip video systems by the end of last year. Other limitations on the growth of IP camera solutions has been the global recession and an apathy towards IP CCTV training from entrenched CCTV installers. This will of course change as the price of IP video systems fall and the benefits become ever clearer. In the meantime however as we mentioned earlier Hybrid solutions will help ease us all into the IP surveillance way of thinking. Why though has the transition to IP camera solutions and Video management systems been so slow? Well cheap imports have meant that many end users have decided to make do for the time being. With money tight in the UK spending on security has gone into reverse something that none of the IP camera manufacturers could have predicted when they planned their upgrade paths some 5 years ago. All is not lost though.The pure quality and flexibility that can be produced by HD cameras and now megapixel IP cameras mean that at some stage the tipping point will be reached. IP camera systems will become cheaper and the natural progression to IP camera systems will start to snowball. Security Consultants - what value do they add? IP CCTV - the true cost? CCTV Manuals - shall we leave them out? TCO of an IP Surveillance system. The burning question! Hybrid CCTV, Analogue CCTV or IP CCTV? Hybrid CCTV camera solutions. The way forward! This entry was posted on Tuesday, February 8th, 2011 at 07:45	and is filed under IP cameras. You can follow any responses to this entry through the RSS 2.0 feed. Both comments and pings are currently closed.